This zesty Roasted Tomatillo Green Olive Guacamole is best served with the cool crunch of jicama and radish. But don’t you dare forget those tortilla chips. Looking for an interesting twist on Guacamole? Traditional guacamole is so delicious that I have to admit I found it difficult to add odd ingredients in order to try a different version. But this one turned out to be a surprisingly tasty addition to my Mexican dinner. It was my idea to put the green pimento-stuffed olives on top and we thought it complimented and even added more tangy zest to the overall flavor. Plus the recipe introduced me to a great new Frontera brand sauce. I look forward to trying it in some other recipes. Cut each avocado in half by slicing straight down through that spot where the stem was attached until you reach the pit. Then rotate the knife all the way around the pit. Twist the two halves apart and take out the pit. With a spoon, scoop out the soft flesh from the skins, collecting it in a large bowl as you go. Coarsely mash with the spoon (you could use an old-fashioned potato masher or large fork). Gently stir the salsa into the avocado mixture, along with the cilantro. Taste and season with salt. Garnish with cilantro sprigs. 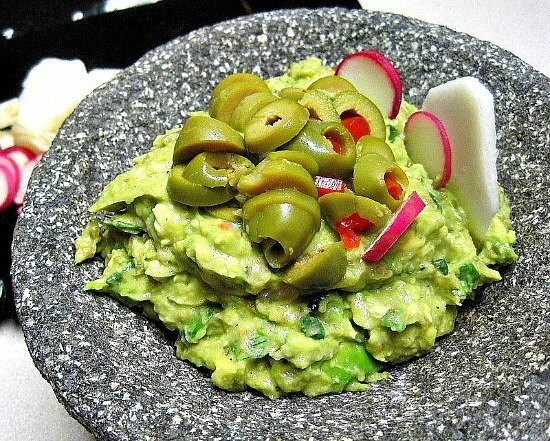 Top with the sliced green olives and serve with tortilla chips, or sliced cucumber, radish and jicama. This is the last post for my Mexican Christmas Dinner. I did serve a delicious non-Mexican Easy Cranberry Cake from Ina Garten. I saw this beautiful dessert over at Cathy’s blog, Wives With Knives. After looking at her gorgeous photo, who could resist. Also not pictured is the crock of chow-chow as a topping for the beans, warm soft corn tortillas and sour cream for the pork and pickled onion tacos and of course the people. Note to self, take photos of people. Happy New Year To Everyone and look forward to seeing what on your New Year’s Eve Celebration Table. You’re right, Lea Ann…we’re kitchen twins! 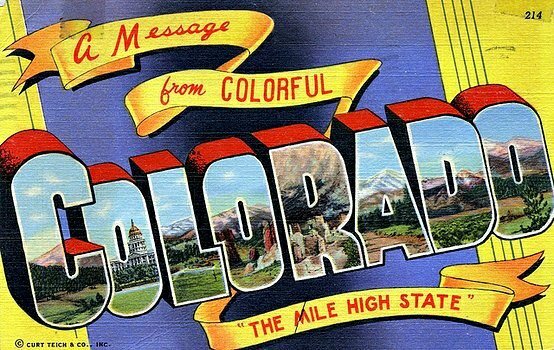 😀 This sounds awesome…but of course 😀 Happy New year!!! Great-looking guac! Sounds like a wonderful Christmas dinner. Tangy GREEN guacamole you say, I usually prefer the orange or purple myself. Actually, as an olive lover, I think this sounds very intriguing and you’ve never steered me wrong. Someone who doesn’t know me will read the first sentence and say “what an a**hole he must be.” 🙂 Have a great New Year Lea Ann. The tomatillo sauce sounds very interesting and something I would definitely try. Actually, I ate my first tomatillo just this year and put it in a salsa with fish. It was terrific. We have eaten so much guacamole around here we are going to turn green. I’ll have to try your tangy version to change things up a bit. Happy New Year!!! Too funny Karen…us too. Happy New Year to you too. Your Dad has good taste! 🙂 Thanks Reeni, for stopping by and the comment. What an impressive feast! I love changing things up – so this is right up my alley. Still nursing my wretched cold, so our “feast” will probably be chicken soup. Happy New Year, LA! 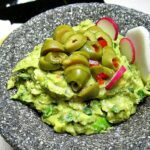 I love guacamole and this version is winning me over as I love olives and tomatillos too. Happy New Year!!!! Thanks Joumana. I really liked how this turned out and especially with the crisp cold vegetables. I enjoy the briny bite of an olive and guacamole and I are pals so the three of us should get along fabulously! “briny bite”…. love that description of an olive Chris. Well said. I LOVE the tang of tomatillos and this guacamole sounds so intriguing! I totally understand your trepidation though…why mess with a good thing? Thanks Joanne, you should try it. Really good. We’re guacamole purists but do love green olives and all Rick Bayless recipes so I’m going to try this version soon. I’ve seen the Frontera label in a local market and will give it a try. I’m happy you enjoyed Ina’s cake, Lea Ann. I’ve stashed a few bags of fresh cranberries in the freezer so will be able to make it year round. Thanks so much for the link to my blog. I’m the same way Cathy, why mess up a good thing. This was a pleasant surprise. Still a wonderful guac flavor with some tang. Anything from Frontera is amazing!! I bet that guac is fabulous!! 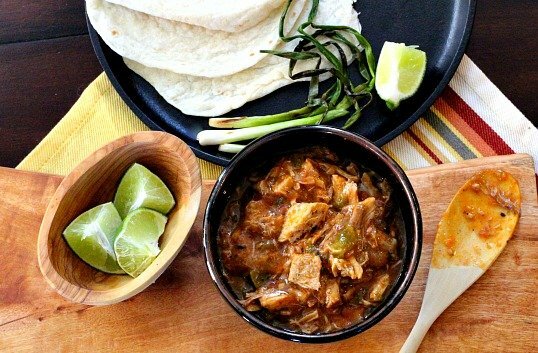 Good for you to make Mexican on a Christmas– a holiday usually bypassed by all Mexican food! I’ve made a lot of Bayless recipes, but haven’t bought many of his sauces. Might have to test some more of them. Thanks for stopping by and the comment. I think the green olives would be a really good addition. Next time I make guac, green olives are going in! Love your whole menu – looks and sounds delicious. Thanks Karen! I liked the green olives on the guac. Okay, as you can see I dug alittle deeper and found you Tex-Mex recipes. Yum!!! I thought I had the fever bad but you have me beat. Everything looks great and I cannot wait to try them all.